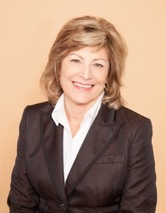 Shirlee Sharkey is the President and CEO of Saint Elizabeth, a national social enterprise providing home care, health solutions and education to people where they are and when they need it. Under Ms. Sharkey’s leadership, the not-for-profit charitable organization has enjoyed exponential growth and expansion, and facilitated transformative solutions in areas such as Indigenous health, end of life care, and caregiver wellness and support. Today, Saint Elizabeth delivers 20,000 care exchanges daily through its team of 9,000 leaders and professionals. With a century of experience and powerful vision for the future, Saint Elizabeth is committed to empowering clients, families and staff; championing compassion; and pursuing high value and quality. As an organization firmly fixed on honouring human experiences in health care, Saint Elizabeth pursues innovative and exemplary practices to make a wider societal impact.